Every night I rub one pump of the L’Occitane Immortelle Oil Makeup Remover onto my dry face, then I hop into the shower. Mascara, lipstick, liner, etc. all dissolves into the oil, then rinses off when warm water is introduced - no trace left behind. My system is easy enough, and extremely gentle on my sensitive skin. 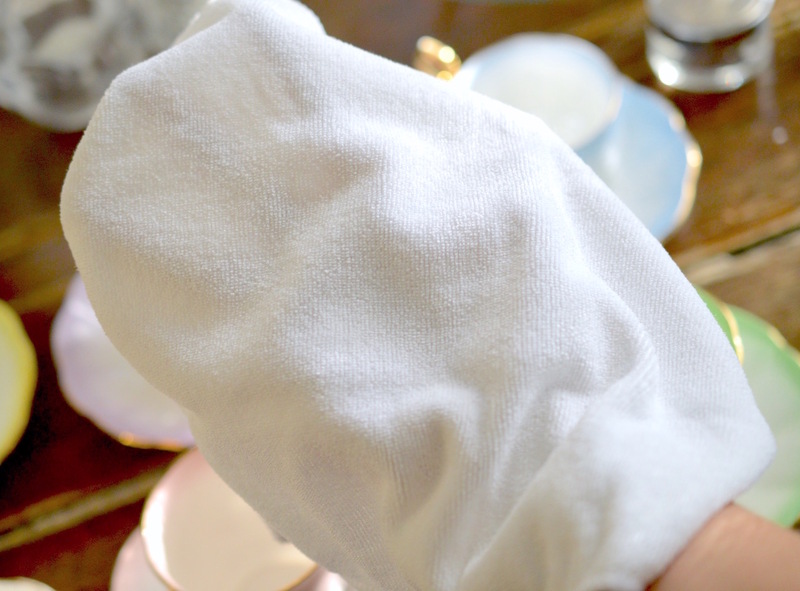 It is a bit of a pain to bring an oily product around when I’m travelling, but that's when cleansing cloths (and Olay Daily Facials, mentioned here) come into play. 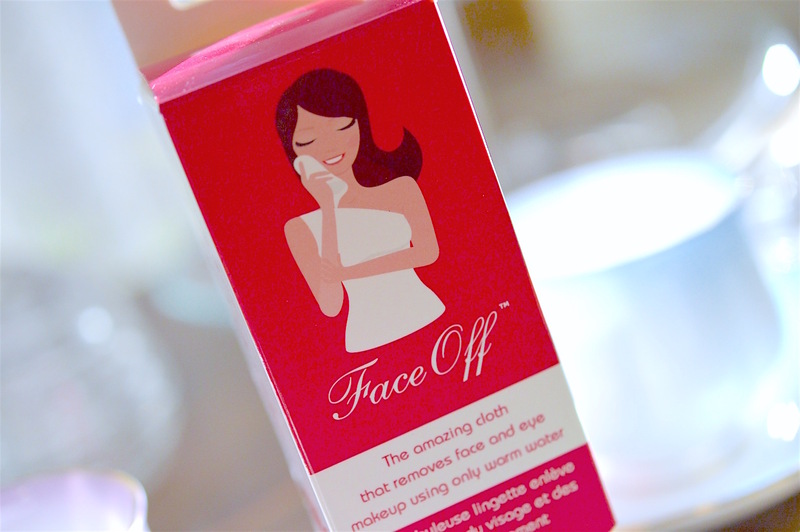 I received the FaceOff makeup cloth as a press sample at the beginning of August, and I began to use it right away. 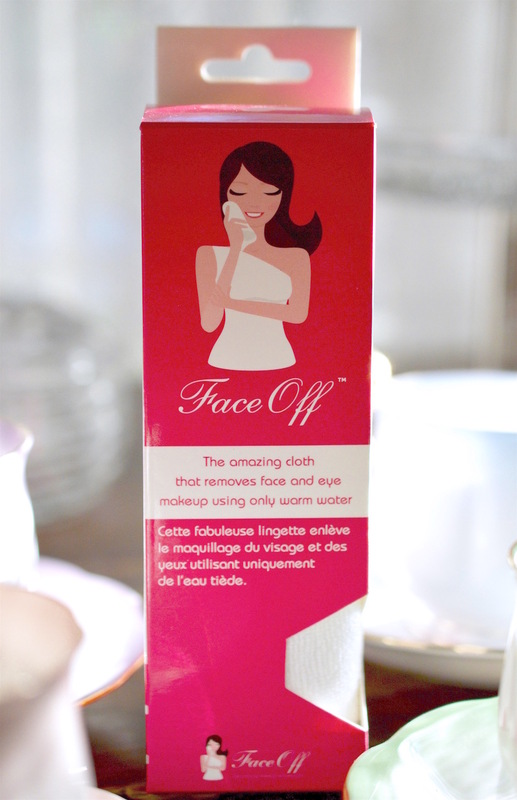 This microfibre cloth claims to remove all makeup with only warm water and no soap. I was thrilled to try it out since I’ve seen a ton of reviews on the hot pink "Makeup Eraser" cloth that is sold at Sephora (here) for $24. "The secret is in the unique weave of ultra-thin microfibres, designed to gently lift dirt and impurities, leaving the skin naturally clean and smooth. The microfibre technology is very hygienic and effective." Does the FaceOff cloth work? Yes! Do I like it? Yes! Will I use it every day in place of my usual cleansing method? Hm.. Not quite. 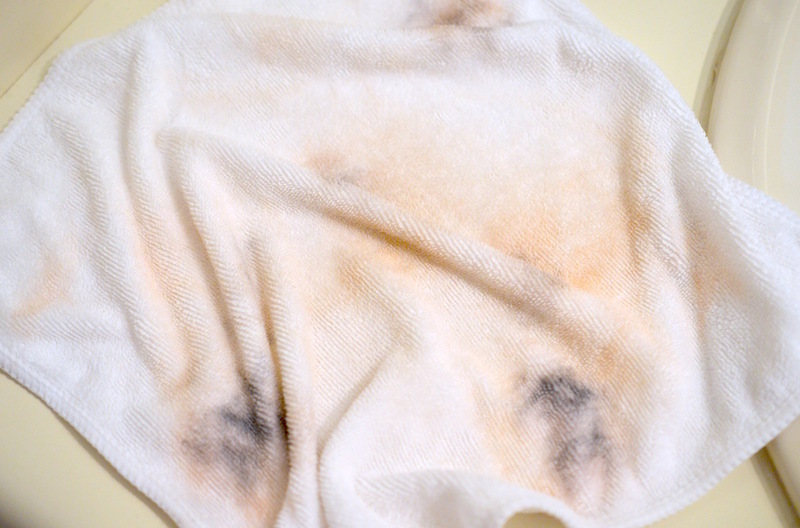 The one gripe that I have with this cloth is the fact that you still need wash the FaceOff with soap after you’ve removed the makeup from your face. It’s not as gentle as my oil remover since there’s a decent amount of friction between your skin and the cloth, but the quality is really good and the FaceOff is softer than any other cloth I've tried - perfect for use even with your favourite face wash. I think this is a really fun product that I’ll keep in my washroom to use when I need a quick fix and liquid remover isn’t at the ready. If you’re camping (#Glamping) or maybe packing a carry on bag with minimal liquids, I’d recommend packing the FaceOff and a gentle bar soap like Dr Bronner's or the Dove Beauty Bar so that your FaceOff cloth is kept in sanitary condition, ready for your daily make-off needs. Tip: Don’t forget a plastic bag for quick storage if you are travelling with your FaceOff. You can follow FaceOff on Facebook, Instagram and Twitter, and try it out for yourself here.